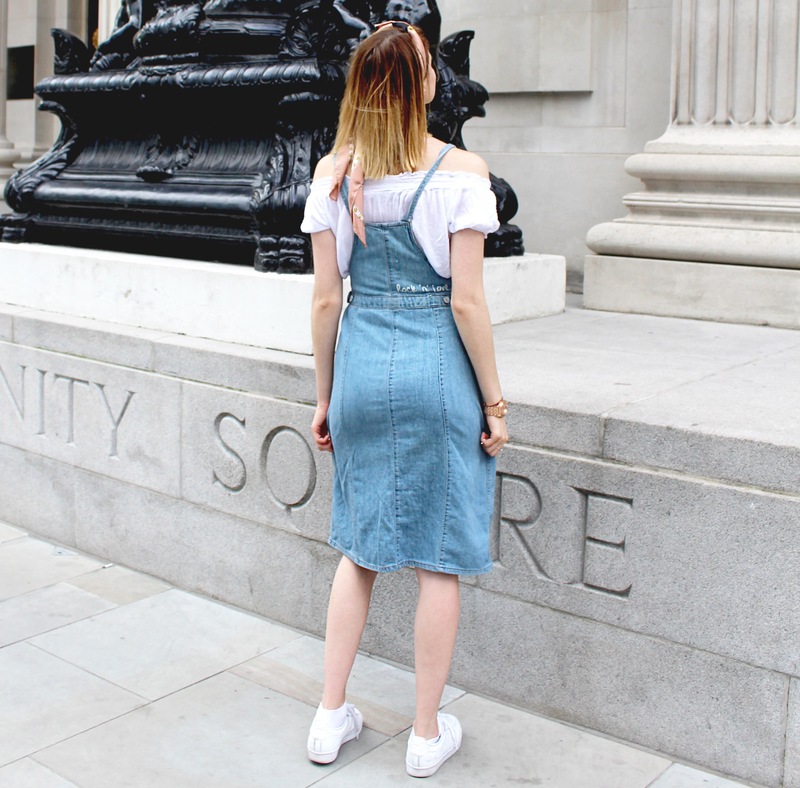 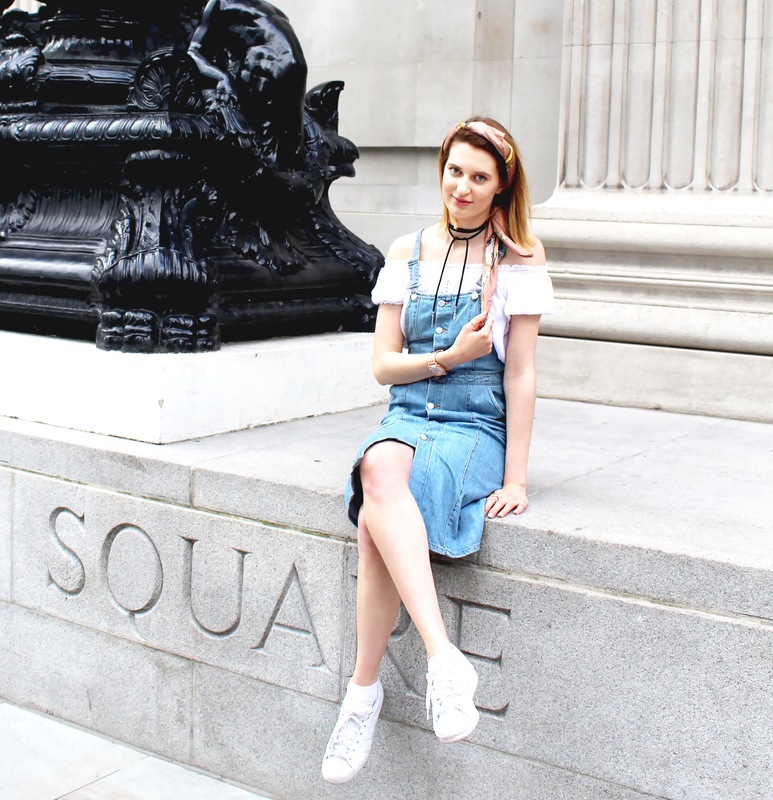 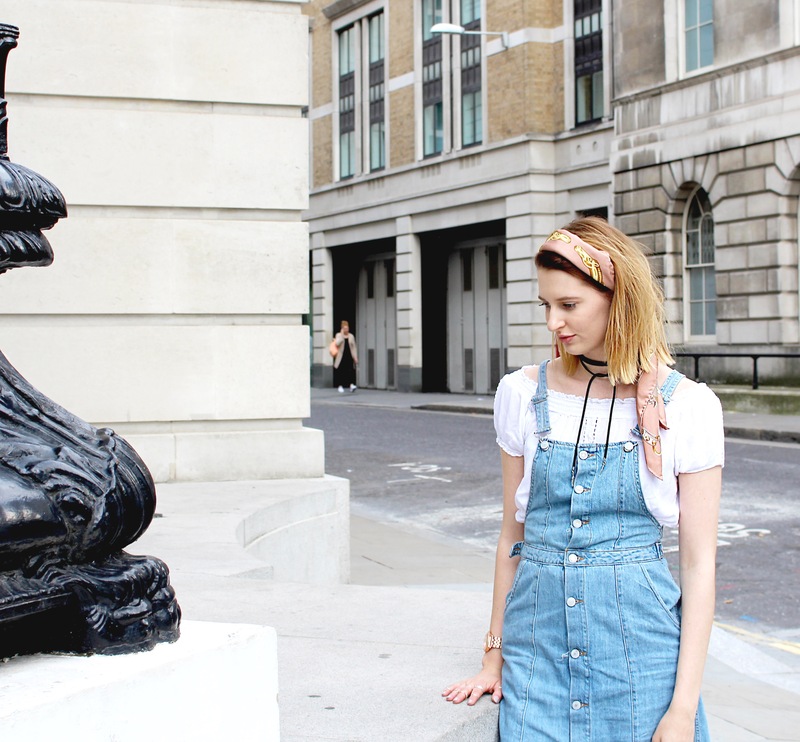 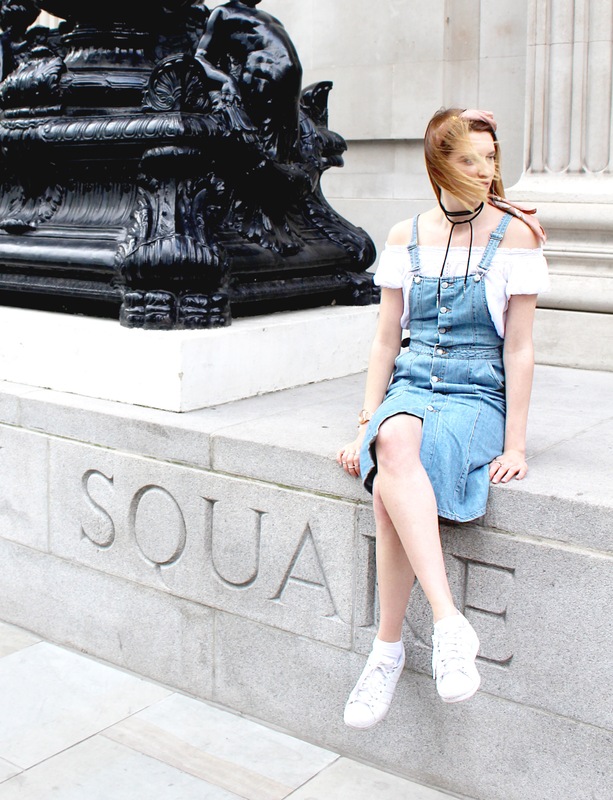 This pinafore is one of my favourite items in my summer wardrobe. 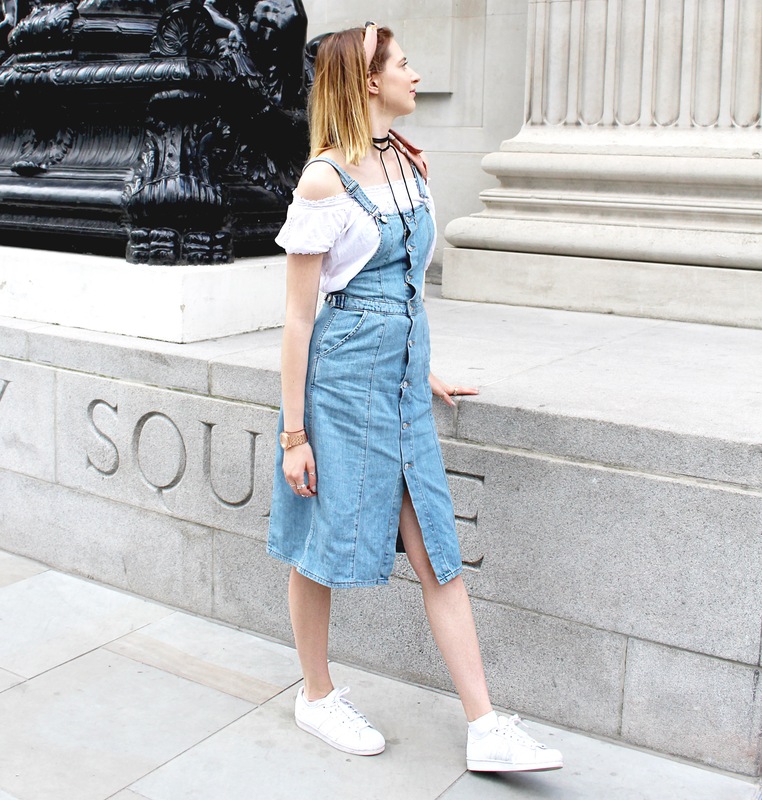 Pinafores always look so girly and cute, but the wide, knee-length hem gives it a higher fashion edge. 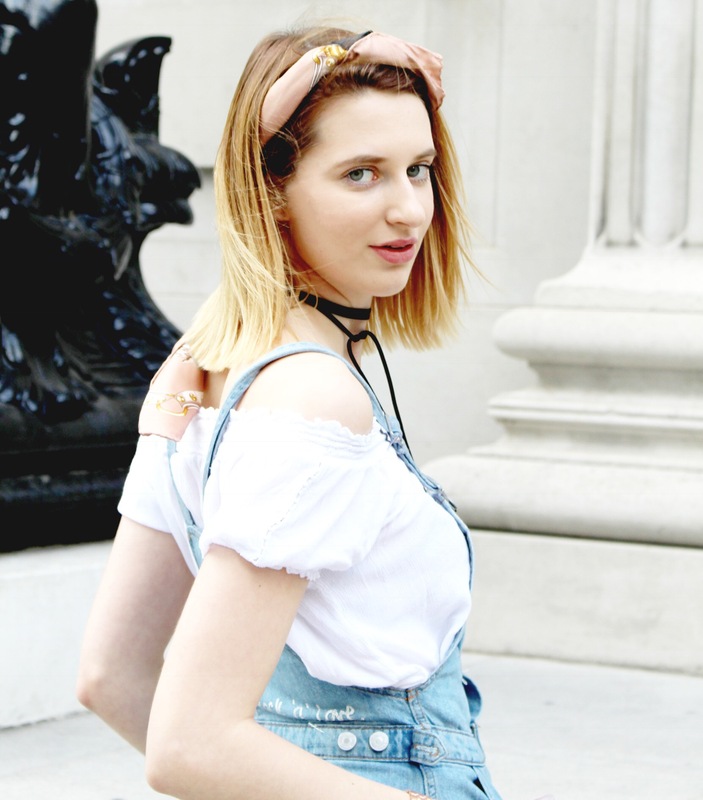 I love paring pinafores with off the shoulder tops – looks so much cuter and more interesting than just a plain tee – and looks even more summery! 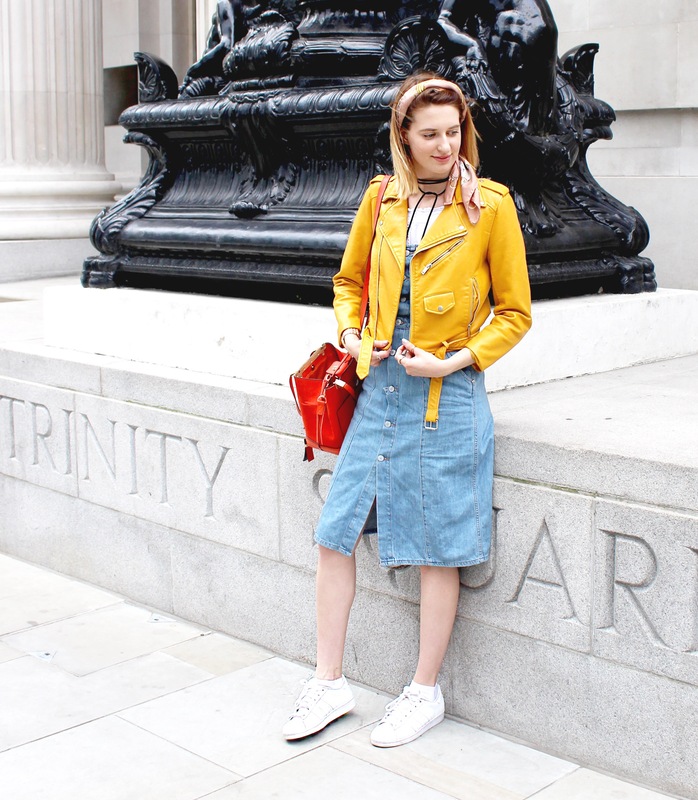 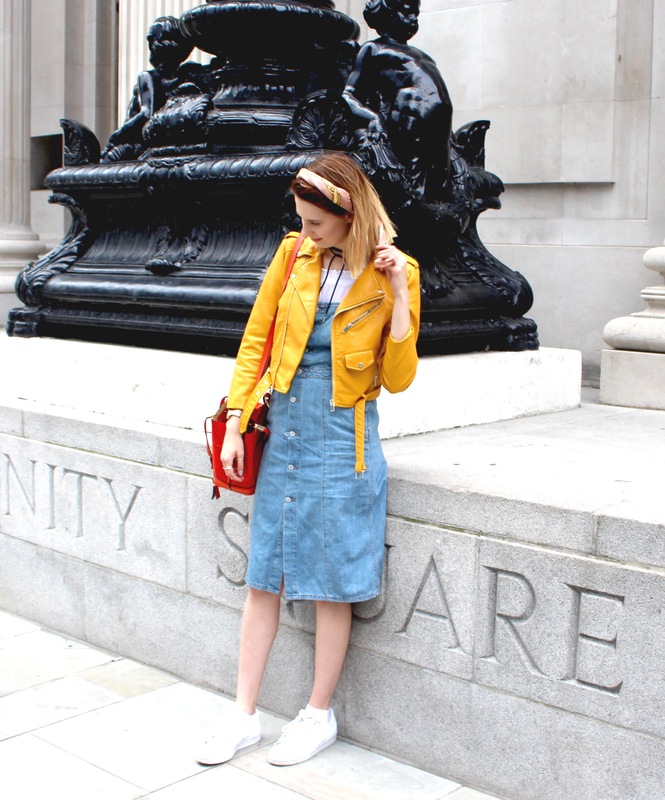 As usual I like to add my yellow jacket for a bit of a pop of colour in this bright outfit. 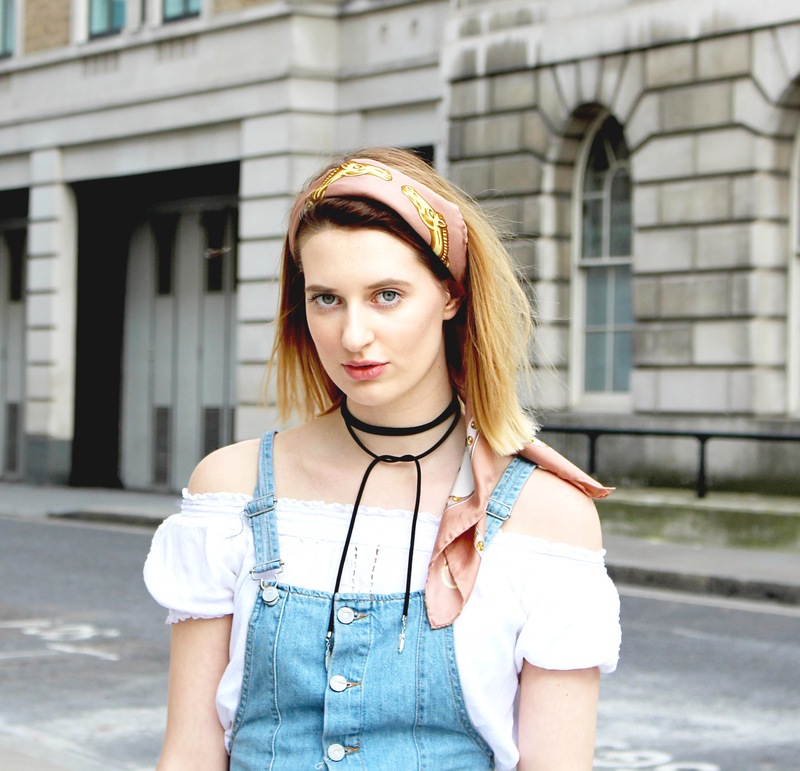 I accessorised by adding trainers, a very on trend tie choker necklace to match the 90s vibe of my outfit, and my Gucci scarf (worn as head scarf) to add a feminine twist.